Iain Stirling "U OK Hun? 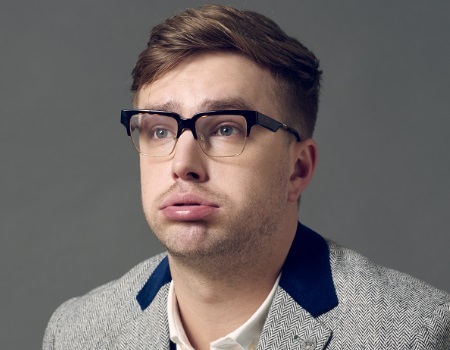 x"
Iain Stirling is back after a summer narrating smash hit Love Island (ITV2) and now you can see his actual face on his brand new tour! After selling out his entire Edinburgh Fringe run out in advance and adding shows due to extra public demand, the BAFTA winning comedian now hits the road to perform his acclaimed, hot ticket show around the UK. Join the ‘star of comedy’ (The i) as he explores dinner party etiquette and the pressures on a generation brought up in a world of instant gratification. How has modern living affected our ability to find long term happiness? Can social media ever reflect real life? And why is the floor lava? As well as hosting ITV2’s newest hit comedy gameshow CelebAbility, Iain’s intuitive razor-sharp humour has previously been seen on Virtually Famous (E4), Drunk History and Russell Howard’s Stand Up Central (both Comedy Central), Russell Howard's Good News and Sweat the Small Stuff (both BBC Three) and Fake Reaction and Safe Word (both ITV2).